Wanting coal we could not have smelted the iron needed to make our engines, nor have worked our engines when we had got them. But take away the engines and the great towns vanish like a dream. Manufacturers give place to agriculture and pasture, and not ten men can live where now ten thousand. Coal introduced a new race of men who work with machinery instead of their hands, who cluster together in cities instead of spreading over the land, men who trade with those of other nations as readily as with those of their own town…men whose market is no longer the city or country but the world itself. Where I grew up the hand of coal was everywhere. Great paddle-wheel boats pushed it up and down the river every day, driven by the heat of coal fire. Columns of barges — eight, ten, twelve to a steamboat — were as common a sight to me as police cars are to the modern Manhattan where I live a half-century later. Those barges glide majestically through my memory, piled high with coal gleaming in the sunshine, glistening in the rain, coal destined for steel mills, coke ovens, machine works, chemical plants, coal yards and coal chutes everywhere. Long before we saw the lead barges push the river aside, we saw plumes of smoke shoot above the willows on the riverbanks. As the big paddle-wheel went crashing by, orange clouds of sulfuric rip surged up in waves from the depths of the deep green river, an angry reminder that this wasn’t just water we were playing with. On certain days the town sky darkened from coal smoke, the air so dark automobiles used headlights at midday. Some favorite games we played circled around coal: one called simply "walking the railroad ties" gave way naturally to its successor "walking the rails" as a fellow got better at the thing. But whether you hopped along the creosoted wood or teetered on the polished steel stretching in the mind to infinity, the object was to gather up black diamonds spilled from the coal cars. At night we played ghostly games in and out of long rows of abandoned beehive coke ovens, which looked for all the world like Roman tombs. I can still hear the crunch of a battered shovel digging into the pyramid of coal in our basement and the creak of the cast-iron gate on the furnace door opening to accept another load into the flames. Squinting through medieval view slits in the grate like an armored knight’s helmet paid off with a shocking blast of superheated air. Nothing could be a more awe-inspiring introduction to power for a child. Mother, puffing her Chesterfield, would often complain about dirty air as the cigarette smoldered, about the impossibility of keeping white clothes white for even a few hours, about her wish to live in the mountains where the air was clean. And Grandmother Mossie would say cryptically, her unfiltered Chesterfield cocked, "Smoke means work." Sometimes I heard men from the beer halls talking to Pappy (my granddad) about arcane matters which summoned up the same sacred utterance, "Smoke means work." (Sadly, Slowly) Zum, Gollie, Gollie, Gollie, ZUM Gaw-lee, Gaw-lee, Zum, Gollie, Gollie, Gollie, ZUM Gaw-lee, Gaw-lee. Although I doubted that song was genuine because the miners I passed on the street were far from musical men, even as a boy, I loved the feeling of connection it awakened to a life far stranger than any fiction, a life going on deep inside the green hills around me while I sat at my desk in school. Occasionally an abandoned mine, its hollow tunnels reaching out for miles like dark tentacles beneath the earth, would catch fire along an undug coal seam and burn for years, causing wisps of smoke to issue from unlikely rural settings, reminder of the fiendish world unseen below the vegetable landscape. Now and then a coal tunnel would collapse, entombing men alive down there — from which fate (all too easy to imagine for a boy with a penchant for crawling around in storm drains) the victims would sometimes be rescued on the front page of the Sun-Telegraph, and sometimes not. When a situation like that was pronounced hopeless and miners sat dying underground with no chance of rescue — as sailors died in the hull of the Arizona at Pearl Harbor — I would stare in a different light at the black lumps I usually took for granted. Another thing I clearly remember is that years after a mine was abandoned and the community far above had lost memory of its subterranean workings, occasionally an entire unsuspecting town would begin to slump into the pit. Frantic effort to shore up old tunnels would stretch out over months, even years, the progress of creeping disaster faithfully recorded in newspapers and street corner gossip as it marched house by house toward its inexorable conclusion. Very interesting, I hear you mutter, but what on earth does all this have to do with the problem of schooling? The answer is everything, but it will take some effort to see why, so deeply buried has been the connection between schooling in all its aspects and the nature of the nation’s work. Real school reforms have always failed, not because they represent bad ideas but because they stand for different interpretations of the purpose of life than the current management of society will allow. If too many people adopted such reforms, a social and economic catastrophe would be provoked, one at least equal to that which followed the original imposition of centralized, collective life on men, women, and children in what had been a fairly libertarian American society. Reverberations of this earlier change in schooling are still being heard. 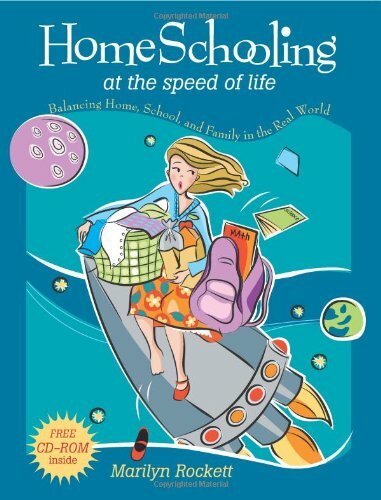 What else do you think the explosion of homeschooling in recent years means? The reason this cataclysm, out of which we got forced schooling, has been put to the question so very little by the groups it violently damaged is that the earlier storm had a confusing aspect to it. Those who suffered most didn’t necessarily experience declining incomes. The cost of the metamorphosis was paid for in liberties: loss of freedom, loss of time, loss of significant human associations — including those with one’s own children — loss of a spiritual dimension, perhaps. Losses difficult to pin down. Coal, and later oil, relentlessly forced a shift in crucial aspects of social life: our relation to nature, our relation to each other, our relation to ourselves. But nowhere was the impact greater than in the upbringing of children. Colonial and Federal period economics in America emphasized the characteristics in children that were needed for independent livelihoods — characteristics which have remained at the heart of the romantic image of our nation in the world’s eyes and in our own. These characteristics, however, were recognized by thinkers associated with the emerging industrial/financial systems as danger signs of incipient overproduction. The very ingenuity and self-reliance that built a strong and unique America came to be seen as its enemy. Competition was recognized as a corrosive agent no mass production economy could long tolerate without bringing ruinous financial panics in its wake, engendering bankruptcy and deflation. A preliminary explanation is in order. Prior to coal and the inventiveness coal inspired, no harm attended the very realistic American dream to have one’s own business. A startling percentage of Americans did just that. Businesses were small and local, mostly subsistence operations like the myriad small farms and small services which kept home and hearth together across the land. Owning yourself was understood to be the best thing. The most radical aspect of this former economy was the way it turned ancient notions of social class privilege and ancient religious notions of exclusion on their ears. Yet, well inside a single generation, godlike fossil fuel power suddenly became available. Now here was the rub, that power was available to industrialists but at the same time to the most resourceful, tough-minded, independent, cantankerous, and indomitable group of ordinary citizens ever seen anywhere. A real danger existed that in the industrial economy being born, too many would recognize the new opportunity, thus creating far too much of everything for any market to absorb. The result: prices would collapse, capital would go unprotected. Using the positive method of analysis (of which more later), one could easily foresee that continuous generations of improved machinery (with never an end) might well be forthcoming once the commitment was made to let the coal genie completely out of the bottle. Yet in the face of a constant threat of overproduction, who would invest and reinvest and reinvest unless steps were taken to curtail promiscuous competition in the bud stage? The most efficient time to do that was ab ovo, damping down those qualities of mind and character which gave rise to the dangerous American craving for independence where it first began, in childhood. The older economy scheduled for replacement had set up its own basic expectations for children. Even small farmers considered it important to toughen the mind by reading, writing, debate, and declamation, and to learn to manage numbers well enough so that later one might manage one’s own accounts. In the older society, competition was the tough love road to fairness in distribution. Democracy, religion, and local community were the counterpoise to excesses of individualism. 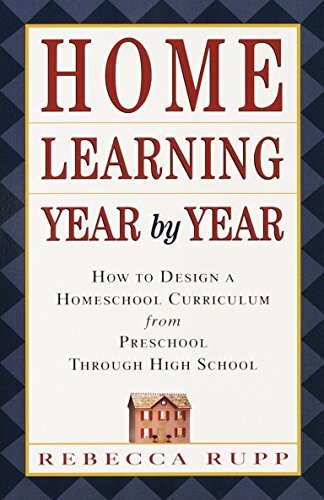 In such a universe, home education, self-teaching, and teacher-directed local schoolhouses served well. In the waning days of this family-centered social order, an industrial replacement made necessary by coal lay waiting in the wings, but it was a perspective still unable to purge itself of excess competition, unable to sufficiently accept government as the partner it must have to suppress dangerous competition — from an all-too-democratic multitude. Then a miracle happened or was arranged to happen. After decades of surreptitious Northern provocation, the South fired on Fort Sumter. Hegel himself could not have planned history better. America was soon to find itself shoehorned into a monoculture. The Civil War demonstrated to industrialists and financiers how a standardized population trained to follow orders could be made to function as a reliable money tree; even more, how the common population could be stripped of its power to cause political trouble. These war years awakened canny nostalgia for the British colonial past, and in doing so, the coal-driven society was welcomed for the social future it promised as well as for its riches. The great mistake is to dismiss too hastily the inducements offered by industrial utopia. Defense of it on strictly humanistic grounds is usually discarded as hypocrisy, but after some reflection, I don’t think it is. Remember that many philosophical and scientific minds were fellow travelers in the industrial procession. Like Adam Smith, they predicted that just beyond the grim factory smoke and the foul pits where men mined coal, a neo-Arcadian utopia beckoned — we have already witnessed its evanescent, premature embodiment in Chautauqua. Thus was the stage set for institutional schooling as it eventually emerged. This Arcadia would be possible only if men of great vision had the nerve and iron discipline to follow where rationality and science led. The crucial obstacle was this: an unknown number of generations would have to be sacrificed to industrial slavery before mankind could progress to its comfortable destiny. On the other side of that immoral divide, paradise might lie. How to get there? Though Malthus and Darwin had shown the way to intellectually devalue human life and to do with protoplasm whatever needed to be done, the force of Western tradition, particularly Judeo-Christian tradition, was still too strong to be brushed aside. Into this paradox stepped socialism. It was a happy coincidence that while one aspect of industrial imagination, the capitalist lobe, was doing the necessary dirty work of breaking the old order and reorganizing its parts, another, softer aspect of the same industrial mind could sing the identical song, but in a different key and to a different audience. What socialists helped capitalism to teach was that the industrial promise was true. The road to riches could be followed through coal smoke to an eventual paradise on earth. Only the masters had to be changed. In place of bosses would sit workers. Meanwhile, both sides agreed (Marx is particularly eloquent on this point) that many would have to suffer a great while, until predictable advances in social reordering would ultimately relieve their descendants. We just happen to have the world’s most productive work force, the largest economy, the highest material standard of living, more Nobel prizes than the rest of the world combined, the best system of higher education, the best high-tech medicine, and the strongest military. These things could not have been accomplished with second-rate systems of education. On the contrary, the surprising truth is they could not have been accomplished to the degree they have been without second-rate systems of education. But here it is, writ plain, the crux of an unbearable paradox posed by scientifically efficient schooling. It works. School, as we have it, does build national wealth, it does lead to endless scientific advances. Where is Greene’s misstep? It lies in the equation of material prosperity and power with education when our affluence is built on schooling (and on entrepreneurial freedom, too, of course, for those libertarian enough to seize it). A century of relentless agit-prop has thrown us off the scent. The truth is that America’s unprecedented global power and spectacular material wealth are a direct product of a third-rate educational system, upon whose inefficiency in developing intellect and character they depend. If we educated better we could not sustain the corporate utopia we have made. Schools build national wealth by tearing down personal sovereignty, morality, and family life. It was a trade-off. This contradiction is not unknown at the top, but it is never spoken aloud as part of the national school debate. Unacknowledged, it has been able to make its way among us undisturbed by protest. E.P. Thompson’s classic, The Making of the English Working Class, is an eye-opening introduction to this bittersweet truth about "productive" workforces and national riches. When a Colorado coalminer testified before authorities in 1871 that eight hours underground was long enough for any man because "he has no time to improve his intellect if he works more," the coaldigger could hardly have realized his very deficiency was value added to the market equation. What the nineteenth century in the coal-rich nations pointed toward was building infrastructure for managerial utopia, a kind of society in which unelected functional specialists make all the decisions that matter. Formal periods of indoctrination and canonical books of instruction limit these specialists in their choices. The idea of managerial science is to embed managers so securely in abstract regulation and procedure that the fixed purpose of the endeavor becomes manager-proof. Managerial utopias take tremendous effort to build. England’s version of this political form was a millennium in the building. Such governance is costly to maintain because it wastes huge amounts of human time on a principle akin to the old warning that the Devil finds work for idle hands; it employs large numbers of incompetent and indifferent managers in positions of responsibility on the theory that loyalty is more important than ability to do the job. I watched this philosophy in action in public schools for thirty years. Ordinary people have a nasty habit of consciously and unconsciously sabotaging managerial utopias, quietly trashing in whole or part the wishes of managers. To thwart these tendencies, expensive vigilance is the watchword of large systems, and the security aspect of managerial utopia has to be paid for. Where did this money originally come from? The answer was from a surplus provided by coal, steam, steel, chemicals, and conquest. It was more than sufficient to pay for a mass school experiment. Society didn’t slowly evolve to make way for a coal-based economy. It was forcibly made over in double time like Prussians marching to battle Napoleon at Waterloo. An entirely successful way of life was forcibly ushered out. Before anything could be modern, the damnable past had to be uprooted with its village culture, tight families, pious population, and independent livelihoods. Only a state religion had the power to do this — England and Germany were evidence of that — but America lacked one. A military establishment had power to do it, too. France, under the Directorate and Napoleon, was the most recent example of what physical force could accomplish in remaking the social order, but military power was still too dispersed and unreliable in America to employ it consistently against citizens. As the established Protestant religion schismed and broke apart, however, America came into possession of something that would serve in its place — a kaleidoscope of utopian cults and a tradition of utopian exhortation, a full palette of roving experts and teachers, Sunday schools, lyceums, pulpits, and Chautauquas. It was a propitious time and place in which to aim for long-range management of public opinion through the utopian-schooling vehicle Plato had described and that modern Prussia was actually using. It takes no great insight or intelligence to see that the health of a centralized economy built around dense concentrations of economic power and a close business alliance with government can’t tolerate any considerable degree of intellectual schooling. This is no vain hypothesis. The recent French Revolution was widely regarded as the work of a horde of underemployed intellectuals, the American uprising more of the same. As the nineteenth century wore on, the Hungarian and Italian revolutions were both financed and partially planned from the United States using cells of marginal intellectuals, third sons, and other malcontents as a volunteer fifth column in advance of the revolutionary moment back home. Ample precedent to fear the educated was there; it was recognized that historical precedent identified thoughtful schooling as a dangerous blessing. Most of the anti-intellectual shift in schooling the young was determined by the attitudes and needs of prominent businessmen. The first exhibit for your perusal is the U.S. Bureau of Education’s Circular of Information for April 1872, which centers around what it calls the "problem of educational schooling." With whose interests in mind did the bureau view education as a problem? The amazing answer is: from a big business perspective. By 1872, this still feeble arm of the federal government is seen filled with concern for large industrial employers at a time when those were still a modest fraction of the total economy. According to this Circular of Information, "inculcating knowledge" teaches workers to be able to "perceive and calculate their grievances," thus making them "more redoubtable foes" in labor struggles. Indeed, this was one important reason for Thomas Jefferson’s own tentative support of a system of universal schooling, but something had been lost between Monticello and the Capital. "Such an enabling is bound to retard the growth of industry," continues the Circular. There is nothing ambiguous about that statement at all, and the writer is correct, of course. We believe that education is one of the principal causes of discontent of late years manifesting itself among the laboring classes. Once we acknowledge that planned economies of nation or corporation are systems with their own operating integrity, quite sensibly antagonistic to the risks educated minds pose, much of formal schooling’s role in the transformation that came is predictable. If education is indeed "one of the principal causes of discontent," it performs that subversive function innocently by developing intellect and character in such a way as to resist absorption into impersonal systems: Here is the crux of the difference between education and schooling — the former turns on independence, knowledge, ability, comprehension, and integrity; the latter upon obedience. In The Empire of Business (1902), Andrew Carnegie, author of the Homestead siege which destroyed the steelworkers union, inveighs against "teachings which serve to imbue [children] with false ideas." 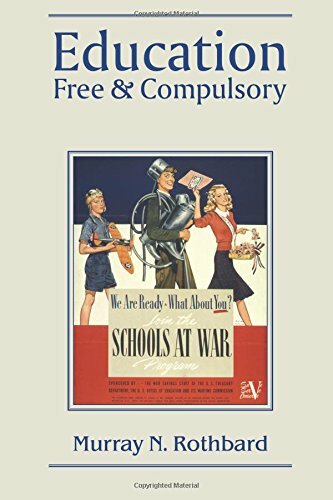 From a transatlantic business perspective, education taught what was socially and economically useless, transmitting bad attitudes which turned students against the ripening scheme of centralized national management. Carnegie’s new empire demanded that old-fashioned character be schooled out of children in a hurry. It would be a large mistake to assume this new empire of business of which Carnegie boasts was only a new face on old-style greed. While it did take away liberty and sovereignty, it put forth serious intellectual arguments for doing so. Ordinary people were promised what Walter Greene’s outraged letter quoted earlier at the beginning of this chapter tells you they got: the best space program, the best high-tech medicine, the strongest military, the highest material standard of living. These things could not have been accomplished without a kind of forced schooling that terminated most independent livelihoods. That was the price paid for a gusher of easy prosperity. To understand this paradox better requires some insight into what inspired such certainty among the architects of modern schooling that this disruption would work to produce material prosperity. Their faith that wealth would inevitably follow the social mechanization of the population is founded on a magnificent insight of Francis Bacon’s, set down in startlingly clear prose back in the early seventeenth century. Thanks to the patronage of John Stuart Mill, by the mid-nineteenth century, the seeds that Bacon planted grew into the cult of scientific positivism, a movement we associate today with the name of a Frenchman, Auguste Comte. It’s hard to overestimate the influence positivism had on the formation of mass schooling and on the shaping of an international corporate economy made possible by coal. Positivism holds that if proper procedures are honored, then scientific marvels and inventions follow automatically. If you weigh and measure and count and categorize slowly and patiently, retaining the microscopic bits of data which can be confirmed, rejecting those that cannot, on and on and on and on, then genius and talent are almost irrelevant — improvements will present themselves regularly in an endless progression despite any fall-off in creative power. Advances in power and control are mainly a function of the amount of money spent, the quantity of manpower employed, and correct methodology. Mankind can be freed from the tyranny of intelligence by faithful obedience to system! This is a shattering pronouncement, one made all the more difficult to resist because it seems to work. Even today, its full significance isn’t widely understood, nor is the implacable enmity it demands toward any spiritual view of humanity. 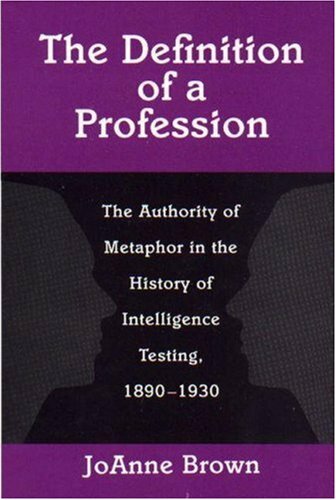 In the positivist method, the managerial classes of the late nineteenth century, including their Progressive progeny in the social management game, knew they had a mill to grind perpetual profits — financial, intellectual, and social. Since innovations in production and organization are a principal engine of social change, and since positive science has the power to produce such innovations without end, then even during the launch of our era of scientific management it had to be clear to its architects that nonstop social turbulence would be a daily companion of exercising this power. This is what the closet philosophy of bionomics was there to explain. It preached that the evolutionarily advanced would alone be able to tolerate the psychic chaos — as for the rest, the fate of Cro-Magnon man and the Neanderthal were history’s answer. And the circularity of this convenient proposition was lost on its authors. Faced with the problem of dangerous educated adults, what could be more natural than a factory to produce safely stupefied children? You’ve already seen that the positive system has only limited regard for brainy people, so nothing is lost productively in dumbing down and leveling the mass population, even providing a dose of the same for "gifted and talented" children. And much can be gained in social efficiency. What motive could be more "humane" than the wish to defuse the social dynamite positive science was endlessly casting off as a byproduct of its success? To understand all this you have to be willing to see there is no known way to stop the social mutilation positive science leaves in its wake. Society must forcibly be adapted to accept its own continuing disintegration as a natural and inevitable thing, and taught to recognize its own resistance as a form of pathology to be expunged. Once an economic system becomes dependent on positive science, it can’t allow any form of education to take root which might interrupt the constant accumulation of observations which produce the next scientific advance. In simple terms, what ordinary people call religious truth, liberty, free will, family values, the idea that life is not centrally about consumption or good physical health or getting rich — all these have to be strangled in the cause of progress. What inures the positivistic soul to the agony it inflicts on others is its righteous certainty that these bad times will pass. Evolution will breed out of existence unfortunates who can’t tolerate this discipline. This is the sacred narrative of modernity, its substitute for the message of the Nazarene. History will end in Chautauqua. School is a means to this end. Coal made common citizens dangerous for the first time. The Coal Age put inordinate physical power within the reach of common people. The power to destroy through coal-derived explosive products was an obvious dramatization of a cosmic leveling foreseen only by religious fanatics, but much more dangerous as power became the power coal unleashed to create and to produce — available to all. The dangerous flip side of the power to produce isn’t mere destruction, but overproduction, a condition which could degrade or even ruin the basis for the new financial system. The superficial economic advantage that overproduction seems to confer — increasing sales by reducing the unit price of products through savings realized by positivistic gains in machinery, labor, and energy utilization — is more than offset by the squeezing of profits in industry, commerce, and finance. If profit could not be virtually guaranteed, capitalists would not and could not gamble on the huge and continuous investments that a positivistic science-based business system demands. Now you can see the danger of competition. Competition pushed manufacturers to overproduction in self-defense. And for double jeopardy, the unique American entrepreneurial tradition encouraged an overproduction of manufacturers. This guaranteed periodic crises all along the line. Before the modern age could regard itself as mature, ways had to be found to control overproduction. In business, that was begun by the Morgan interests who developed a system of cooperative trusts among important business leaders. It was also furthered through the conversion of government from servant of the republic to servant of industry. To that end, the British government provided a clear model; Britain’s military and foreign policy functioned as the right arm of her manufacturing interests. But of what lasting value could controlling topical overproduction be — addressing it where and when it threatened to break out — when the ultimate source of overproduction in products and services was the overproduction of minds by American libertarian schooling and the overproduction of characters capable of the feat of production in the first place? As long as such a pump existed to spew limitless numbers of independent, self-reliant, resourceful, and ambitious minds onto the scene, who could predict what risk to capital might strike next? To minds capable of thinking cosmically like Carnegie’s, Rockefeller’s, Rothschild’s, Morgan’s, or Cecil Rhodes’, real scientific control of overproduction must rest ultimately on the power to constrain the production of intellect. Here was a task worthy of immortals. Coal provided capital to finance it. If the Coal Age promised anything thrilling to the kind of mind which thrives on managing the behavior of others, that promise would best be realized by placing control of everything important — food, clothing, shelter, recreation, the tools of war — in relatively few hands, creating a new race of benevolent, godlike managers, not for their own good but the good of all. Plato had called such benevolent despots "guardians." Why these men would necessarily be benevolent nobody ever bothered to explain. Abundant supplies of coal, and later oil, cried out for machinery which would tirelessly convert a stream of low-value raw materials into a cornucopia of things which everyone would covet. Through the dependence of the all on the few, an instrument of management and of elite association would be created far beyond anything ever seen in the past. This powerful promise was, however, fragilely balanced atop the need to homogenize the population and all its descendant generations.1 A mass production economy can neither be created nor sustained without a leveled population, one conditioned to mass habits, mass tastes, mass enthusiasms, predictable mass behaviors. The will of both maker and purchaser had to give way to the predestinated output of machinery with a one-track mind. Nothing posed a more formidable obstacle than the American family. Traditionally, a self-sufficient production unit for which the marketplace played only an incidental role, the American family grew and produced its own food, cooked and served it; made its own soap and clothing. And provided its own transportation, entertainment, health care, and old age assistance. It entered freely into cooperative associations with neighbors, not with corporations. If that way of life had continued successfully — as it has for the modern Amish — it would have spelled curtains for corporate society. Another factor which made ordinary citizens dangerous in a Coal Age was that coal gave rise to heavy industries whose importance for war-making made it imperative to have a workforce docile, dependable, and compliant. Too much was at stake to tolerate democracy. Coal-fired industry had such a complex organization it could be seriously disrupted by worker sabotage, and strikes could be fomented at any moment by a few dissident working men with some training in rhetoric and a little education. The heightened importance to high-speed industry of calculating mass labor as a predictable quality rendered nonconformity a serious matter. The danger from ordinary people is greatly magnified by the positive philosophy which drives a mass production, corporate management epoch. While it was necessary to sensitize ordinary people to the primacy of scientific needs, and to do this partially by making the study of biology, chemistry, physics, and so forth formal school lessons, to go further and reveal the insights of Bacon and Comte about how easily and inevitably Nature surrenders her secrets to anybody in possession of a simple, almost moronic method, was to open Pandora’s box. The revolutionary character of scientific discovery discussed earlier — that it requires neither genius nor expensive equipment and is within reach of anyone — had to be concealed. It was through schooling that this revolutionary aspect of science (once known or at least suspected by tens of thousands of small, subsistence farming families and miscalled "Yankee ingenuity") was hidden right out in the open. From the start, science teaching was what it remains today: for the ordinary student, a simplified history of scientific discovery, and for the better classes, a simple instilling of knowledge and procedures. In this transmission of factual data and chronicles, the positive method remains unseen, unsuspected, and untaught. Taught correctly, science would allow large numbers of young people to find and practice the most effective techniques of discovery. The real gift science confers is teaching how to reach potent conclusions by common powers of observation and reasoning. But if incidental overproduction was already a crisis item in the minds of the new social planners, you can imagine what hysteria any attempt to broadcast the secrets of discovery would have occasioned. The General Education Board said it best when it said children had to be organized and taught in a way that would not make them "men of science. "2 To that end, science was presented in as authoritarian a form as Latin grammar, involving vast tracts of memorization. Children were taught that technical competence is bought and sold as a commodity; it does not presume to direct activities, or even to inquire into their purpose. When people are brought together to build a shopping mall, a dam, or an atomic bomb, nothing in the contract gives them latitude to question what they have been paid to do, or to stir up trouble with co-workers. Recruitment into the dangerous sciences was mostly limited to those whose family background made them safe. For the rest, science was taught in a fashion to make it harmless, ineffective, and even dull. Now my job is to open a window for you into that age of economic transformation whose needs and opportunities gave us the schools we got and still have. Thorstein Veblen said back in 1904, just a year or two before the forced schooling project began to take itself seriously, that "any theoretical inquiry into cultural life as it is running into the future must take into account the central importance of the businessman and his work." Insofar as any theorist aims to explain aspects of modern life like schools, the line of approach has to be from the businessman’s standpoint, for it is business that drives the course of events. And while I urge the reader to remember that no notion of single causes can possibly account for schooling, yet the model of modern medicine — where the notion of single causes has been brilliantly productive — can teach us something. When medicine became "modern" at the end of the nineteenth century, it did so by embracing germ theory, a conception much less "factual" than it appears. The idea in germ theory is to trace specific pathologies to single instigators. Whatever its shortcomings, this narrowing of vision frequently revealed the direction in which successful treatment lay. Just so, the important thing in viewing the development of the modern economy is not to find in it a conspiracy against children, but to remain detached enough to ask ourselves how the development of forced schooling could have been any different than it was. To understand the modern economy and modern schooling, we need to see how they grow organically from coal and oil. Coal has been used for thousands of years as domestic fuel, for most of that time only in the few spots where it cropped out on the surface or was washed ashore by the sea. Any kind of plant matter can become coal, but most of what we have is the gift of the earth as it existed 350 million years ago when rushes and ferns grew tall as trees. Decay, compression, heat, and a great deal of time make the rock that burns. As it sits in your cellar it continues to putrefy; all coal gives off marsh gas or methane continuously. This is the reason coalmines blow up, a clue to even more explosive secrets locked inside its shiny blackness. When infortuitously methane becomes mixed with 5 percent oxygen it creates a highly explosive mixture miners call firedamp. Any bright eight-year-old could create this explosive with about five minutes’ training — one good reason why the mass development of intellect after the Coal Age became more problematic than it might appear on the surface. Though such a possibility was never a central cause of the rush to school, it and other facts like it were details of consequence in the background of the tapestry. Through the early years of the eighteenth century, enormous technical problems plagued the development of coal. Once quarrying gave way to underground mining and shafts went below the water table, seepage became a nightmare. And as underground workings extended further and further from the shaft, the problem of hauling coal from where it was mined back to the shaft, and from the shaft hoisted to the surface — distances between five hundred and one thousand feet in places — posed enormous technological challenges. As did the simple matter of illumination in the dark tunnels. Collections of marsh gas might be encountered at any turn, resulting in the sudden termination of miners and all their expensive equipment. Solving these problems took two centuries, but that effort resulted in the invention of the steam engine and the railroad as direct solutions to the dilemmas of drainage and haulage under the earth. A simple pump, "the miner’s friend" patented by Savery in 1699, became Newcomen’s steam pump powered by water boiled over coalfires, driving a piston device which drained British coal-mines for the next century. Priscilla Long says, "The up and down motion of this piston, transferred to the moving parts of machines and especially to the wheels of trains" changed global society. Newcomen’s pump used so much coal it could only be used near coalmines, but James Watt’s engine, which came along at precisely the moment the Continental Congress was meeting in 1776, was superior in every way: efficient and capable of delivering a source of power anywhere. Industries could now be located away from coal fields because the coal industry had invented the railroad — as a way to solve its other underground problem, moving the coal from the diggings to the surface. By the middle of the seventeenth century, the haulage problem had been partially solved by laying wooden planks along coalmine tunnels as two parallel tracks upon which wagons could be drawn. These tracks, it was soon realized, had an aboveground use, too, as a transport highway from mine to sea and waterway. A century later, just after the moment some former British colonies in North America became the United States, a coal operator tied the steam engine of Watt to the task of moving coal from the seam face, and other men associated with large collieries produced the first railroad expressly for the purpose of hauling coal. It couldn’t have run very long before other uses suggested themselves. Passenger travel followed almost immediately — the world’s first reliable transportation system. Once unleashed on an idea this powerful, the globally successful British engineering community had a field day extending it. By 1838, the first steamship had crossed the Atlantic; a short while later transatlantic travel was on a timetable, just as classrooms in factory schools would come to be. The abundance of wood in the United States slowed the development of efficient railroads for an interval, as, after all, wood was free. But as trains improved with dazzling speed, the economy that wood offered was seen as a counterfeit — wood has only half the punch of coal. By 1836, coal had driven wood from the infant railroads. Explosive growth followed at once. Trackage grew from 1,100 miles in 1836 to 2,800 miles in 1841 to 5,600 miles in 1845, to 11,000 miles in 1850, to 22,000 miles in 1855, to 44,000 miles in 1860 on the eve of the Civil War. Could the North have overwhelmed the South so handily without railroads? Would the West have developed the same way? The railroad, byproduct of the desire to gouge coal out of the earth, was a general’s best friend. And America’s first working compulsion schools were given to the nation by the Boston School Committee, an elite assembly importantly underwritten by money and influence from Peabody coal and railroading interests the year after Andrew Jackson left office. Far-sighted businessmen had seen the future before anyone else. The democracy which arises unprompted when people are on the same footing was finished with the coming of coal-fired steam locomotives. Before railroads, production was decentralized and dispersed among a myriad of local craftspeople. It was production on a small scale, mostly with local raw materials, by and for local people. Since horse-drawn vehicles couldn’t reliably expect to make thirty miles a day, weather was always a vital reality in that kind of transport. Mud, snow, flooded creeks, dried-up watercourses in summer — all were forces turning people inward where they created lives of profound localness. On the seacoast it was different. There, trading was international, and great trading families accumulated large stocks of capital, but still production wasn’t centralized in factories. The pressure of idle capital, however, increasingly portended that something would come along to set this money in motion eventually. Meanwhile, it was a world in which everyone was a producer of some kind or a trader, entertainer, schoolteacher, logger, fisherman, butcher, baker, blacksmith, minister. Little producers made the economic decisions and determined the pace of work. The ultimate customers were friends and neighbors. As mass production evolved, the job of production was broken into small parts. Instead of finishing things, a worker would do the same task over and over. Fragmenting work this way allowed it to be mechanized, which involved an astonishing and unfamiliar control of time. Human beings now worked at the machine’s pace, not the reverse, and the machine’s pace was regulated by a manager who no longer shared the physical task. Could learning in school be regulated the same way? The idea was too promising not to have its trial. Workers in mass production work space are jammed closely together in a mockery of sociability, just as school kids were to be. Division of labor sharply reduced the meaning of work to employees. Only managers understood completely what was going on. Close supervision meant radical loss of freedom from what had been known before. Now knowledge of how to do important work passed out of local possession into the hands of a few owners and managers. Cheap manufactured goods ruined artisans. And as if in answer to a capitalist’s prayers, population exploded in the coal-producing countries, guaranteeing cheaper and cheaper labor as the Coal Age progressed. The population of Britain increased only 15 percent from 1651 to 1800, but it grew thirteen times faster in the next coal century. The population of Germany rose 300 percent, the United States 1,700 percent. It was as if having other forms of personal significance stripped from them, people turned to family building for solace, evidence they were really alive. By 1913, coalmining afforded employment to one in every ten wage earners in the United States. Completion of the nation’s railroad network allowed the rise of business and banking communities with ties to every whistle-stop and area of opportunity, increasing concentration of capital into pools and trusts. "The whole country has become a close neighborhood," said one businessman in 1888. Invention and harnessing of steam power precipitated the greatest economic revolution of modern times. New forms of power required large-scale organization and a degree of social coordination and centralized planning undreamed of in Western societies since the Egypt of Rameses. As the implications of coal penetrated the national imagination, it was seen more and more by employers that the English class system provided just the efficiency demanded by the logic of mechanization — everyone to his or her place in the order. The madness of Jacksonian democracy on the other hand, the irrationality of Southern sectionalism, the tradition of small entrepreneurialism, all these would have to be overcome. Realization of the end product of a managerial, mass production economic system and an orderly social system seemed to justify any grief, any suffering. In the 1840s, British capitalists, pockets jingling with the royal profits of earlier industrial decades and reacting against social unrest in Britain and on the Continent, escalated their investments in the United States, bringing with their crowns, pounds, and shillings, a political consciousness and social philosophy some Americans thought had been banished forever from these shores. These new colonizers carried a message that there had to be social solidarity among the upper classes for capital to work. Financial capital was the master machine that activated all other machinery. Capital had to be amassed in a few hands to be used well, and amassing capital wasn’t possible unless a great degree of trust permeated the society of capitalists. That meant living together, sharing the same philosophical beliefs on big questions, marrying into each other’s families, maintaining a distance from ordinary people who would certainly have to be ill-treated from time to time out of the exigencies of liberal economics. The greatest service that Edith Wharton and Henry James, William Dean Howells and a few other writers did for history was to chronicle this withdrawal of capital into a private world as the linchpin of the new system. For the moment, however, it’s only important to see how reciprocal the demands of industrialization and the demands of class snobbishness really are. It isn’t so much that people gaining wealth began to disdain their ordinary neighbors as it is that such disdain is an integral part of the wealth-building process. In-group disdain of others builds team spirit among various wealth seekers. Without such spirit, capital could hardly exist in a stable form because great centralized businesses and bureaus couldn’t survive without a mutual aid society of interlocking directorates which act effectively to restrain competition. Whether this process of separation and refinement of human raw material had any important influence on the shape and purpose of forced schooling, I leave to your own judgment. It’s for you to decide if what Engels termed the contradiction between the social character of production and its control by a few individuals was magnified in the United States by the creation of a national managerial class. That happened in a very short span of time in the last quarter of the nineteenth century. School as we know it was the creation of four great coal powers whose ingenious employment of the coal-powered steam engine shrank distance and crippled local integrity and the credibility of local elites. But the United States produced almost as much coal as the other three school-bound nations put together, as you can see from figures for coal production in 1905: 1) United States — 351 million tons; 2) United Kingdom — 236 million tons; 3) Germany — 121 million tons; 4) France — 35 million tons. Prior to the advent of coal-based economics, mass society was a phenomenon of the Orient, spoken of with contempt in the West. Even as late as 1941, I remember a barrage of adult discourse from press, screen, radio, and from conversations of elders that Japan and China had no regard for human life, by which I presume they meant individual human life. "Banzai!" was supposed to be the cry of fanatical Japanese infantrymen eager to die for the Emperor, but Western fighting men, in the words of H.G. Wells’ wife, were "thinking bayonets." For that reason Germany was much more feared than Japan in WWII. With the advent of coal and steam engines, modern civilization and modern schooling came about. One of the great original arguments for mass schooling was that it would tame and train children uprooted from families broken by mining and factory work. 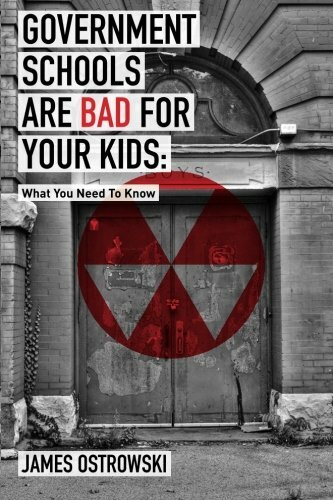 In sophisticated spots like Unitarian Boston and Quaker/Anglican Philadelphia, school was sold to the upper classes as a tool to keep children from rooting themselves in the culture of their own industrially debased parents. If humanity had its way, it would not rest content until the earth is covered completely and to a considerable depth with a writhing mass of human beings, much as a dead cow is covered with a pulsating mass of maggots. Brown’s metaphors reveal something of the attitude that raised schooling in the first place on the industrial base of coal, steam, and steel. Among other things, the new institution would be an instrument to prevent mass humanity from "having its way." This essay, characteristic of many such syntheses issuing from foundation and corporate-sponsored university figures of reputation through the century, as well as from public intellectuals like H.G. Wells, was written on the island of Jamaica which to Brown "appears to be a tropical paradise," but his scientific eye sees it is actually "the world in miniature" where "the struggle for survival goes on" amidst "ugliness, starvation, and misery." In this deceptive utopia, the "comfortable and secure" 20 percent who live in a "machine civilization" made possible by coal and oil, are actually "in a very precarious position," threatened by the rapid multiplication of "the starving." 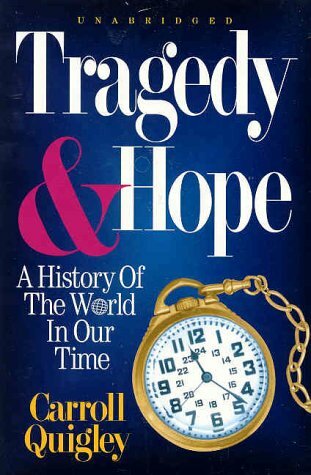 Such paranoia runs like a backbone through Western history, from Malthus to Carl Sagan. Only the United States can stop the threat of overbreeding, says Nobel laureate Brown. "The destiny of humanity depends on our decisions and upon our actions." And what price should we pay for safety? Nothing less than "world authority with jurisdiction over population." The penalty for previous overproduction of the unfit had become by 1954 simply this, that "…thoughts and actions must be ever more strongly limited." Brown continued, "[We must create a society] where social organization is all-pervasive, complex and inflexible, and where the state completely dominates the individual." What is "inflexible" social organization but a class system? Remember your own school. Did a class system exist there? I can see you through my typewriter keys. You’re nodding. In 1700 it took nineteen farmers to feed one nonfarmer, a guarantee that people who minded other people’s business would only be an accent note in general society. One hundred years later England had driven its yeoman farmers almost out of existence, converting a few into an agricultural proletariat to take advantage of machine-age farming practices only sensible in large holdings. By 1900, one farmer could feed nineteen, releasing eighteen men and women for disposal otherwise. Schools during this period, however, remained trapped in the way things used to be, unable to deliver on their inherent potential as massifiers. Between 1830 and 1840, the decade in which the Boston School Committee came into existence, a fantastic transformation built out of steam and coal became visible. When the decade began, the surface aspect of the nation was consistent with the familiar life of colonial times, the same relationships, the same values. By its end, modern American history begins. Chicago, a frontier fort in 1832, was by 1838 a flourishing city with eight daily steamboat connections to Buffalo, the Paris of Lake Erie. But something to rival steam-driven transport in importance appeared at almost the same time: cheap steel. The embryonic steel industry which had come into existence in the eighteenth century revolutionized itself in the nineteenth when the secret of producing steel cheaply was revealed. Formerly steel had been bought dearly in small quantities by smelting iron ore with coke, converting the resulting iron pigs into wrought iron by puddling. This was followed by rolling and then by processing fine wrought iron through a further step called cementation. Steel made this way could only be used for high-grade articles like watch springs, knives, tools, and shoe buckles. The first part of the new steel revolution followed from discovery of the Bessemer process in 1856. Now steel could be made directly from pig iron. In 1865 the Siemens-Martin open-hearth technique gave a similar product of even more uniform quality than Bessemer steel. The next advance occurred in 1879 when Thomas and Gilchrist discovered how to use formerly unsuitable phosphoric iron ore (more common than nonphosphoric) in steelmaking, yielding as its byproduct valuable artificial fertilizer for agriculture. These two transformations made possible the substitution of steel for wrought iron and opened hundreds of new uses. Steel rails gave a huge push to railway construction, and structural steelwork marked a stupendous advance in engineering possibilities, allowing a radical reconception of human society. Capital began to build for itself truly global associations which made national sovereignty irrelevant for a small class of leaders as long as a century ago.3 And that fact alone had great relevance for the future of schooling. As steel articulated itself rationally, vertical integration became the order of the day. Iron and steel reached backwards to control coalmines and coking plants and forward to acquire rolling mills, plant mills, wire-drawing facilities, galvanized iron and tin plate establishments, rod mills, etc. Small under-takings were sucked inexorably into large trusts. Every one of the most modern developments in technique and organization pioneered by steel was echoed in the new factory schools: increase in the size of the plant; integration of formerly independent educational factors like family, church, library, and recreational facility into a coalition dominated by professional schooling; the specialization of all pedagogical labor; and the standardization of curriculum, testing, and acceptable educational behavior. What confused the issue for the participant population is that parents and students still believed that efficiency in the development of various literacies was the goal of the school exercise. Indeed, they still do. But that had ceased to be the purpose in big cities as early as 1905. Schooling was about efficiency. Social efficiency meant standardizing human units. Surprisingly enough to those who expect that institutional thinking will reflect their own thought only on a larger scale, what is an asset to a mass production economy is frequently a liability to an individual or a family. Creating value in children for a mass production workplace through schooling meant degrading their intellectual growth and discouraging any premature utility to the larger society. 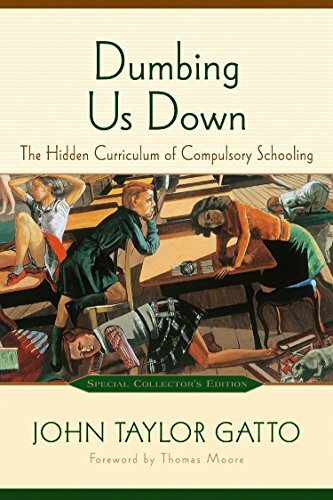 Ellwood P. Cubberley inadvertently spilled the beans in his classic Public Education in the United States when he admitted compulsion schooling would not work as long as children were allowed to be useful to the real world. Ending that usefulness demanded legislation, inspectors, stiff penalties, and managed public opinion. New York, Massachusetts, Connecticut, Ohio, Pennsylvania, Indiana, North Carolina, Michigan, Wisconsin, and Rhode Island led the charge to seal off the escape route of useful work for children, just as they once led the drive for compulsion schooling in the first place. The child labor rhetoric of the day was impressively passionate, some of it genuinely felt and needed, but the cynical aspect can be detected in a loophole created for show business children — "professional children" as they are called in the argot. Whether the "work" of an actor-child is less degrading than any other kind of work is a question not difficult for most people to answer. One dramatic illustration of the positive philosophy in action is written in coal dust. As a heat source, coal seems a simple trade-off: we accept environmental degradation and the inevitable death and crippling of a number of coalminers (350,000 accidental deaths since 1800, 750,000 cases of black lung disease, and an unknown number of permanent and temporary injuries) in exchange for warmth in cold weather and for other good things. But all sorts of unpredictable benefits flowed from the struggle to make the business of keeping warm efficient, and the world of forced schooling was dictated by coal. Consider the romantic gaslight era which by 1870, as far away as Denver and San Francisco, graced the nights of American villages and cities with magical illumination made possible by coal gas produced when coal is purified into coke. In addition to allowing the steel industry to replace the iron industry, this major unforeseen benefit turned night into day as settlements blazed with light. And with illumination, coal had only just begun to share its many secrets. It was also a storehouse of chemical wealth out of which the modern chemical industry was born. Coke ovens produced ammonia liquor as a byproduct from which agricultural fertilizer is easily prepared; it’s also a basis for cheap, readily available, medium-yield explosives. Coal yields benzol and tars from which our dyes and many modern medicines are made; it yields gas which can be converted into electrical energy; it yields perfumes and dozens of other useful things. During the production of coal gas, sulphur — the source of sulfuric acid vital to many chemical processes — is collected. Coal tar can further be refined into kerosene. From 1850 to 1860, the German scientist August Wilhelm von Hoffmann, working at the Royal College of Chemistry in England, made discoveries inspired by coal’s extraordinary hidden potential which elevated chemistry into a national priority in those countries which maintained extra-territorial ambitions like the United States. By 1896, heavier-than-air flight had been achieved long before the Wright brothers when a pilotless steam airplane with a forty-foot wingspan began making trips along the Potomac River near Washington in full view of many important spectators. As great as coal and steam engines were at stimulating social ferment, they met their master in oil and the internal combustion engine. Coal is twice as efficient an energy source as wood; oil twice as efficient as coal. Oil made its debut just as the Civil War began. As with coal, there had been ancient references to this form of liquid coal in Strabo, Dioscorides, and Pliny. Records exist of its use in China and Japan in the Pre-Christian era (Marco Polo described the oil springs of Baku at the end of the thirteenth century). All that was needed was an engine adapted to its use. The first patent for the use of gasoline motive power was issued in England in 1794. By 1820 at Cambridge University men knew how to use gas to move machinery. By 1860 gas engines were in limited use all over Europe, four hundred in Paris alone. The first American exploitation of any importance occurred at Seneca Lake, New York, in 1859, not a long ride from the ancestral home of the Rockefeller family in the town of Bainbridge. Following the lead of coal, oil was soon producing a fossil-fuel transformation of American society, even though irregular supply kept oil from achieving its dominant place in the energy pantheon quickly. But by 1898 the supply problem was solved. Twelve years later, oil replaced coal as the energy of choice, delivering advantages by weight, saving labor in transit, storage, and extraction, and just as with coal, undreamed of bonus benefits were harvested from oil. In 1910, a windfall of 3 million horsepower hours was generated from waste gas alone, thrown off by oil used in blast furnace operation. Think of coalmines as vast experimental laboratories of human behavior testing the proposition that men, women, and children will do virtually anything — even allow themselves to be consigned to damp dangerous tunnels under the ground for all the sunlight hours in order to have real work to do as part of the community of mankind. If the American Revolution could be said (as the Declaration held) to demonstrate a self-evident truth, that all were "endowed by their Creator with certain unalienable Rights," the coal revolution tested the contrary proposition — just how far those rights could be taken away if exchanged for work. Work was shown by this unworldly occupation to be a value as necessary to human contentment as liberty and the pursuit of happiness. In lieu of alternatives, people would indeed bury themselves alive to get it. And coal was a continuous, highly visible object lesson about just how thoroughly the concerns of unseen outside interests could be imposed on childhood. For over a century, the best profits had come from using young children as coalminers. By 1843, when Horace Mann visited coal-dependent Prussia to gather background for his Seventh Report, boys and girls between the ages of five and eight were at work in every coalmine in America. Fifty percent of all coalminers were children. A girdle is put round the naked waist, to which a chain from the carriage is hooked, and the girls crawl on their hands and knees, drawing the carriage after them. One quiet stream in my own family background was the McManus family from West Elizabeth, Pennsylvania, Irish immigrants in the 1840s. Census records list some of them as coal- miners. My grandmother was Moss McManus before she became Moss Zimmer. She never talked about the past or recalled a single ancestor except one, a McManus licensed as a Mississippi River pilot in a document signed by Abraham Lincoln which still floats around somewhere in the family. What of all those coalminers, Moss? No memories for your grandson? I suppose the answer is she was ashamed. 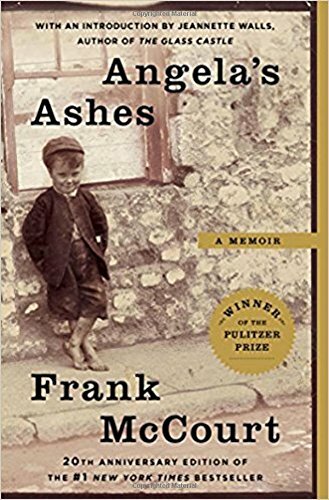 Coalmining was something that ignorant, shanty-boat Irish did, not a fit occupation for lace-curtain Irish, as Moss tried so hard to be in the face of long odds. I’m a trapper in the Gamer Pit. I have to trap without a light and I’m scared. I go at four and sometimes half past three in the morning and come out at five and a half past. I never go to sleep. Sometimes I sing when I’ve light, but not in the dark, I dare not sing then. Chained, belted, harnessed like dogs in a go-cart, black, saturated with wet and more than half-naked — crawling upon their hands and feet and dragging their heavy loads behind them — they presented an appearance indescribably disgusting and unnatural. The confinement of American children to warehouse schools less than a half-century later had been pioneered by the Massachusetts experiment we associate with Horace Mann in the decade just before the Civil War. No other state followed Massachusetts’ lead for a long time, but everywhere children were engaged in mining and factory work. In Massachusetts, the essential practice in confinement was underway, a prelude to universal acceptance of schooling as the natural burden of childhood. Schools were the anti-matter twins of mines and mills: the latter added children to the labor market, schools subtracted them. Both were important functions of a new, centralized command economy. By 1900, direct child labor had been rendered unnecessary by the swift onset of mechanization, except in those anomalous areas like theater, carnival, advertising, and modeling where special pleading to keep children at work would succeed during the general campaign to insulate children from common life. By 1905, industrial corporations employed 71 percent of all wage earners, mining enterprises 10 percent more. At exactly the moment forced-schooling legislation in America was being given its bite by the wholesale use of police, social service investigators, and public exhortation, corporate capitalism boiled up like sulphur in the Monongahela to color every aspect of national life. Corporate spokesmen and academic interpreters, often the same people, frequently explained what was happening as a stage in the evolution of the race. A Johns Hopkins professor writing in 1900 said that what was really happening behind the smokescreen of profit-making was "the sifting out of genius" and "the elimination of the weak." The leading patent attorney in the nation speaking in the same year said nothing, including the law, could stem the new tide running, the only realistic course was "acquiescence and adjustment." Charles Willard of Sears & Roebuck was the speaker. Willard suggested the familiar American competitive system "is not necessarily meant for all eternity." Business was wisely overthrowing competitive wastefulness which produced only "panic, overproduction, bad distribution and uncertainty, replacing it with protected privilege for elected producers." The principles of the business revolution which gave us schooling are still virtually unknown to the public. Competition was effectively crippled nearly a century ago when, profoundly influenced by doctrines of positivism and scientific Darwinism, corporate innovators like Carnegie and Morgan denounced competition’s evils, urging the mogul class to reconstruct America and then the world, in the cooperative corporate image. "Nothing less than the supremacy of the world lies at our feet," said Carnegie prophetically. Adam Smith’s competitive, self-regulating market would be the death of the new economy if not suppressed because it encouraged chronic overproduction. Henry Holt, the publisher, speaking in 1908, said there was "too much enterprise." The only effective plan was to put whole industries under central control; the school industry was no exception. Excessive overproduction of brains is the root cause of the overproduction of everything else, he said. James Livingston has written an excellent short account of this rapid social transformation, called Origins of the Federal Reserve System, from which I’ve taken some lessons. Livingston tells us that the very language of proponents of corporate America underwent a radical change at the start of the century. Business decisions began to be spoken of almost exclusively as courses of purposeful social action, not mere profit-seeking. Charles Phillips of the Delaware Trust wrote, for instance, "The banker, the merchant, the manufacturer, and the agent of transportation must unite to create and maintain that reasonable distribution of opportunity, of advantage, and of profit, which alone can forestall revolution." (emphasis added) It hardly requires genius to see how such a directive would play itself out in forced schooling. In 1900, in his book Corporations and the Public Welfare, James Dill warned that the most critical social question of the day was figuring out how to get rid of the small entrepreneur, yet at the same time retain his loyalty "to a system based on private enterprise." The small entrepreneur had been the heart of the American republican ideal, the soul of its democratic strength. So the many school training habits which led directly to small entrepreneurship had to be eliminated. Control of commodity circulation by a few demanded similar control in commodity production. To this end, immediate sanctions were leveled against older practices: first, destruction of skilled worker craft unions which, up to the Homestead steel strike in 1892, had regulated the terms of work in a factory. Inside a decade, all such unions were rendered ineffective with the single exception of the United Mine Workers. Second, professionalization of mental labor to place it under central control also was speedily accomplished through school requirements and licensing legislation. In the emerging world of corporate Newspeak, education became schooling and schooling education. The positive philosophy freed business philosophers like Carnegie from the tyranny of feeling they had always to hire the best and brightest on their own independent terms for company operations. Let fools continue to walk that dead-end path. Science knew that obedient and faithful executives were superior to brilliant ones. Brains were needed, certainly, but like an excess of capsicum, too much of the mental stuff would ruin the national digestion. One of the main points of the dramatic shift to mass production and mass schooling was to turn Americans into a mass population. Older American forms of schooling would never have been equal to the responsibility coal, steam, steel, and machinery laid upon them. As late as 1890, the duration of the average school year was twelve to twenty weeks. Even with that, school attendance hovered between 26 and 42 percent nationwide with the higher figure only in a few places like Salem, Massachusetts. Yet America had to be massified, and quickly. Since the end of the nineteenth century, American government and big business had been fully committed, without public fanfare, to creating and maintaining a mass society. Mass society demands tight administration, close management to an extreme degree. Humanity becomes undependable, dangerous, childlike, and suicidal under such discipline. Holding this contradiction stable requires managers of systematic schooling to withdraw trust, to regard their clientele as hospital managers might think of potentially homicidal patients. Students, men under military discipline, and employees in post offices, hospitals, and other large systems are forced into a condition of less than complete sanity. They are dangerous,4 as history has shown again and again. There are three indisputable triumphs of mass society we need to acknowledge to understand its strength: first, mass production offers relative physical comfort to almost all — even the poor have food, shelter, television as a story-teller to raise the illusion of community; second, as a byproduct of intense personal surveillance in mass society (to provide a steady stream of data to the producing and regulating classes) a large measure of personal security is available; third, mass society offers a predictable world, one with few surprises — anxieties of uncertainty are replaced in mass society with a rise in ennui and indifference. Back at the beginning of the nineteenth century, wise men and women, honorable individuals themselves, came with sadness to realize that for all the foreseeable future, more and more ordinary people would need to give their entire lives to a dark hole in the ground or in service to a mind-destroying machine if a coal-fired dream world was to happen. People who grew up in the clean air and the folk society of villages did not make good workers for the screaming factories or the tunnels underground, or the anthill offices. What was needed was some kind of halfway house that would train individuals for the halfway lives ordinary people would be more and more called upon to lead. In a utopia of machinery and steam, there could be free lunch for unprecedented numbers — but only if there were chains, bread, and water for the rest, at least for some unknown while. Plans for such a halfway institution as forced schooling (think of it as a training factory or a training mine) came together in Boston, Philadelphia, and New York, drawn by the best minds, for the best motives. They inflicted stupendous damage on the libertarian rights and privileges bequeathed to Americans by the nation’s founders. Profits from the industrial engine signed the checks for many nineteenth-century educational experiments like New Lanark in Scotland and New Harmony in Indiana. They bought Fanny Wright her school advocacy platform and helped her impose it on the Philadelphia Workingman’s Party agenda in 1829. Many of the nineteenth-century experimental social colonies looked upon themselves as early emanations of utopia, previews whispering to men and women what might be, if only they turned their backs on the past and schooled for a new day. The brevity of these experiments did nothing to discourage their successors. The coal of Westphalia in association with the iron of Lorraine welded the scattered states of Germany into a ferocious utopian empire in the last half of the nineteenth century. That empire, birthplace of successful, mass forced schooling, made war upon the world, spreading its conception of research universities and its Spartan state philosophy of universal indoctrination and subordination all over the planet. In 1868, Japan adopted large parts of the Prussian constitution together with the Prussian style of schooling. The garment that coal fashioned for Aryan children was worn enthusiastically by coal-free Nipponese as their own. German mental science came to rule the classrooms of the world in the early twentieth century, nowhere more thoroughly than in coal-rich and oil-rich America. America provided a perch from which to study people closely and resources with which to find ways to bring them into compliance. Even without intense ideological motivation driving the project, the prospect of a reliable domestic market which could be milked in perpetuity would have been incentive enough to propel the school project, I believe. Removal of the active literacies of writing and speaking which enable individuals to link up with and to persuade others. Destruction of the narrative of American history connecting the arguments of the Founding Fathers to historical events, defining what makes Americans different from others besides wealth. Substitution of a historical "social studies" catalogue of facts in place of historical narrative. Radical dilution of the academic content of formal curriculum which familiarized students with serious literature, philosophy, theology, etc. This has the effect of curtailing any serious inquiries into economics, politics, or religion. Replacement of academics with a balanced-diet concept of "humanities," physical education, counseling, etc., as substance of the school day. Obfuscation or outright denial of the simple, code-cracking drills which allow fluency in reading to anyone. The confinement of tractable and intractable students together in small rooms. In effect this is a leveling exercise with predictable (and pernicious) results. A deliberate contradiction of common-sense principles, rhetorically justified on the grounds of psychological and social necessity. Enlargement of the school day and year to blot up outside opportunities to acquire useful knowledge leading to independent livelihoods; the insertion of misleading surrogates for this knowledge in the form of "shop" classes which actually teach little of skilled crafts. Shifting of oversight from those who have the greatest personal stake in student development — parents, community leaders, and the students themselves — to a ladder of strangers progressively more remote from local reality. All school transactions to be ultimately monitored by an absolute abstraction, the "standardized" test, correlating with nothing real and very easily rigged to produce whatever results are called for. Relentless low-level hostility toward religious interpretations of meaning. There you have the brilliant formula used to create a coal-fired mass mind. Before his sudden death, I watched my beloved bachelor friend and long-time fellow schoolteacher Martin Wallach slowly surrender to forces of massification he had long resisted. One day in his late fifties he said, "There isn’t any reason to go out anymore. They send food in; I have three hundred channels. Everything is on TV. I couldn’t see it all if I had two lifetimes. With my telephone and modem I can get anything. Even girls. There’s only trouble outside anyway." He fell dead a year later taking out his garbage. Welcome to utopia. We don’t pray or pledge allegiance to anything here, but condoms and Ritalin are free for the asking. Coal explains a part of the curious fact that modern Mexico is still not a mass society in spite of its authoritarian governing class and traditional ways, while the wealthy neighboring United States is. Mexico had no coal, and while it has recently acquired oil (and NAFTA linkage to the mass economy of North America) which will level its citizenry into a mass in time, centuries of individuation must first be overcome. See epigraph, Chapter Eleven, Page 221, which states the vital proposition even more clearly. This is the simplest explanation for events which would otherwise fall beyond the reach of the mind to understand — such as the well-documented fact that legendary German armaments maker Krupp sold its cannon to France during World War I, shipping them to the enemy by a circuitous route clouded by clerical thaumaturgy, or that the Ford Motor Company built tanks and other armaments for the Nazi government during WWII, collecting its profits through middle men in neutral Spain. Ford petitioned the American government for compensation of damages suffered by its plants in wartime bombing raids, compensation it received by Act of Congress with hardly a dissenting vote. Nor were Krupp and Ford more than emblems of fairly common practice, even if one unknown to the common citizenry of combatant nations. When I first began to write this section, another of the long stream of post office massacres of recent years had just taken place in New Jersey. Vengeance by a disgruntled employee. In the same state a hospital attendant has been charged with murdering as many as a hundred of his patients by lethal injection, also a more common occurrence than we want to imagine, and two rich boys at Columbine High School in Littleton, Colorado, the site of a much-boasted-of scientific management revolution in 1994, had shot and killed thirteen of their classmates before taking their own lives. Human variation cannot be pent up for long in enormous synthetic systems without striving to somehow assert the "I" of things. Massified populations cannot exercise self-control very well since they depend on constant oversight to behave as required. When external controls are removed, anything becomes possible. 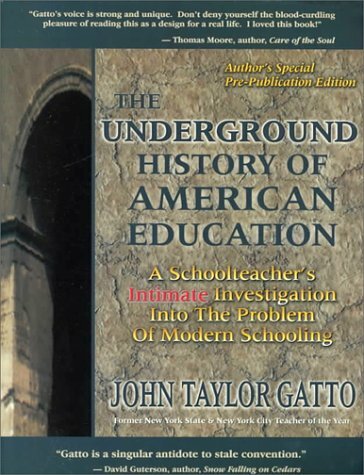 John Taylor Gatto is available for speaking engagements and consulting. Write him at P.O. Box 562, Oxford, NY 13830 or call him at 607-843-8418 or 212-874-3631.